Need Tires? We can help. & Valparaiso's largest selection of tires. We make it easy to request an appointment online. Check our our range of auto services. Click here to see available coupons to save on your next visit. Browse online – test drive at our store! Give our complementary valet service a try. Request an appointment online. View our selection of zero turn mowers & hand held lawn equipment. Get a nationwide limited warranty with FREE roadside assistance. I always have great, friendly, professional service at Heinold & Feller! Every day, with every customer, Heinold & Feller strives to exemplify the true meanings of these words in all that we do. In fact, many of our customers say we’ve done a pretty good job of it! Since 1958, Heinold and Feller Tire Company and Lawn Equipment has been providing complete automotive repair and full service tire sales. We stock many quality lines of tires including: Bridgestone, Firestone, Michelin®, BFGoodrich®, Goodyear, Uniroyal, Mastercraft and Fuzion and others. Our automotive service and repair always uses quality parts such as AC Delco and we provide a nationwide warranty. We pride ourselves on fast, friendly service to get you back on the road as quickly as possible. Our team can handle your air conditioning repairs, alignments, battery changes, and belt and hose replacements. We have years of expertise in brake service, cooling system maintenance, fuel system service and manufacturer suggested routine maintenance. Our competence also includes electrical service, radiator repair, and suspension, shocks, and struts. Of course, we are also adept at servicing the outer components of your vehicle like cracked wind shields, tire rotations, wheel balancing and tire repair or replacements. 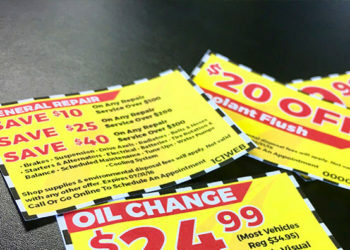 Our oil change always includes a 48 point inspection and free tire rotation. Loaner cars are available to help you keep up with life while we handle your service or repair.